Ron Howard knew he would never be good at cold calling, door knocking or chasing business. He developed an alternate route to achieve the #1 rank in his market, selling over 500 homes last year-and he's not even a foreclosure agent. 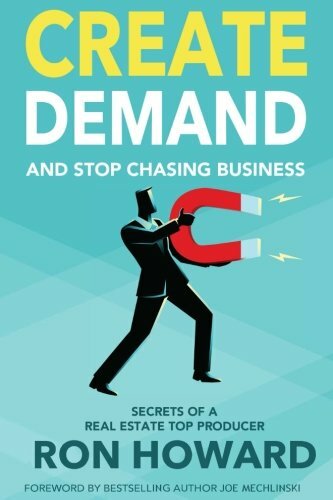 In Create Demand and Stop Chasing Business, top real estate producer Ron, shares his simple, but powerful tips on how to build your business without the chase. You are surrounded by potential clients...but only if you stop chasing them away. If you have any questions about this product by Mastermindscape, contact us by completing and submitting the form below. If you are looking for a specif part number, please include it with your message.